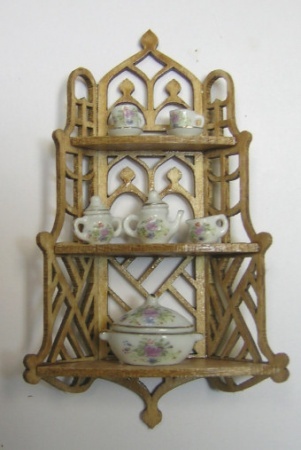 Darling three sided fretwork shelf unit; Designed to fit across a corner, but can be used against a flat wall too. Easy to assemble. You will need an Xacto knife, emery board, glue and paint or stain. China by Bespaq. Not Included in Kit.